Inside city hall, Brampton councillors are receiving a lesson in guns. 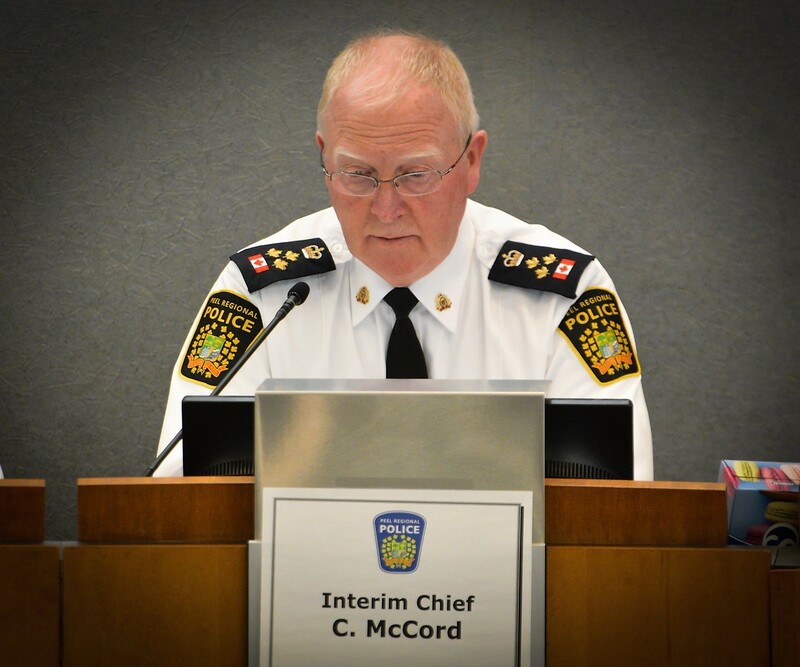 Acting Peel Regional Police Chief Chris McCord is standing at the podium, armed with recent stats that lay bare the state of violent crime in Brampton and the intricacies of dealing with a complicated issue that elude council, and at times, even the police. While he’s ostensibly there for a discussion about a gun amnesty incentive, it’s happening on the heels of Peel’s biggest guns-and-drugs bust in recent history, which brought in 26 firearms and assorted drugs worth more than $1.2 million on the street. The bust was heralded as a symbol of what is working well within the Peel Regional police service, but the bigger picture highlights a series of challenges for a municipal police force trying to keep up with evolving criminal trends using a somewhat outdated model. McCord explained that there are nearly 5,000 legally registered restricted firearms in Brampton, most commonly handguns and revolvers used for target shooting. Peel Region has nearly 16,000 legally registered firearms. As to firearms now prohibited from sale — the guns that look like they’d be more at home on a battlefield or in a Call of Duty video game — there are 467 of them listed in Brampton, 1,760 across the region. These guns aren’t the problem, council learned; the majority of them are properly used, stored, and never involved in the commission of a crime. The same can’t be said for the 26 unregistered and illegal firearms seized during Peel’s recent Project Baron. Or the guns used to kill 10 people in Brampton and Mississauga in 2018. According to McCord, 75 percent of Peel’s illegal handguns have come in from the United States, where lax laws make them much easier to obtain. The 10 fatal shootings were among the 26 homicide cases in Brampton and Mississauga last year, one of the highest violent-crime tallies in recent memory. Shooting victims rose from 40 in 2017 to 53, rounds discharged jumped from 426 to 504, and Peel police investigated 1,143 occurrences when a firearm was present. Fortunately, in 950 of these instances, a round was not discharged. Yet, the growing prevalence of illegal firearms in the the region has strained Peel police resources and the budget that supports them. Just this week, Peel police seized an illegal 9mm firearm off a Toronto man who was pulled over for a routine traffic stop in Mississauga. Looking ahead, it appears the traditional response by Peel police to these issues may not be the most cost-effective. The growing prevalence of illegal firearms and their association with gang and drug activity created a swirl of public fear and pressure late in 2018. That fear was more deeply entrenched in the public mind by major incidents in Toronto, including the Danforth mass shooting in July, when a 29-year-old man killed two people and wounded 13 others with a semi-automatic pistol. The gun used was illegal, stolen from a Saskatchewan gun shop in 2016. The incident resulted in Toronto receiving an extra $25 million in provincial funding to fight gun and gang violence. The reaction from Brampton and Mississauga residents, highlighted on social media and during a community town hall hosted by Peel police in the summer, forced police and political leaders to act. 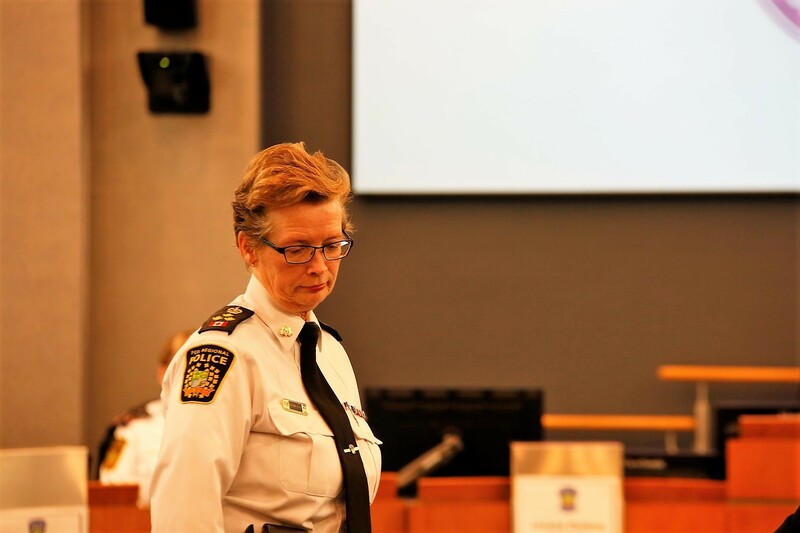 Former police chief Jennifer Evans, in a common plea to upper levels of government, urged the Ministry of Community Safety and Correctional Services to extend its additional funding beyond Toronto. The plea was a shot in the void, and no additional funding was allocated for Peel. In response, as part of a Peel police budget presented in late 2018, Evans sought a 5.4 percent increase over the year before, which would help in hiring 55 more officers. Was this just a knee-jerk reaction to public pressure? Evans had explained that of the 55 officers hired with an additional $8.6 million, 45 would be patrol officers on the front lines. The remaining 10 will be directed to specialized divisions, IT, intelligence service, training, etc. But could other measures have been implemented to better combat Brampton and Mississauga’s criminal element in a cost-effective way? 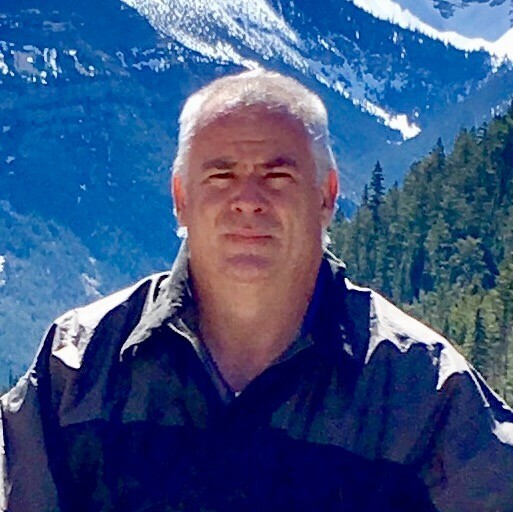 Scott Blandford spent 30 years with the London Police Service, moving from street patrols, to the detectives office, to the tactical unit, to street supervisor. Eventually, he found himself in the corporate planning department. A workload analysis he completed for the service led to hiring 30 additional officers in 2005-06. Today, Blandford is teaching and designing a master’s program in public safety for Laurier Brantford, a satellite campus of Wilfrid Laurier University in Waterloo. He recalls that those 30 extra officers were not a response to rising crime, but rather hired to fill a gap created by a hiring freeze during the tenure of NDP premier Bob Rae. “We basically fell behind and ended up with a bubble with no officers,” he explains. By the numbers, it could be argued that Peel police really are in need of additional officers. The 55 new hires will bring the Peel Regional Police service closer to the provincial average for the number of police officers per capita. Peel currently has about 138 officers per 100,000 residents, while the provincial average is 183 and the national average hovers around 188. Sky-high police salaries in Peel are part of the problem, as not much money is left over to bring in new officers, while existing ones enjoy far higher wage and salary compensation than the national average. A first-class constable with Peel police will earn about $100,500 this year, after completing high school, police college training and a recommended 36 months of service (this time frame is discretionary), and as much as $117,500 including retention pay and the top “investigative premium”. By comparison, an RCMP constable, after completing training and 36 months of service, will earn $86,110. With Brampton’s population continuing to grow at one of the fastest rates in the country, Peel police intend to continue to grow their officer complement in the coming years as well. The forecast for 2020-2022 foresees hiring 55 more officers each year in response to growth and the potential impact of cannabis legalization, according to budget documents. This increase would result in increased budget requests of 5.5 percent for 2020, 4.9 per cent in 2021 and 4.7 per cent in 2022. While growth and legal cannabis are cited as potential drivers for boosting staff, at the cost of millions of new dollars each year, Blandford says that traditionally, there has been one thing that pushed increases in police spending. “Crime stats were always one of the driving factors for budgets,” he says. This approach consistently leaves police organizations behind the 8-ball, responding to crime spikes that have already happened, and eyeing the future with skeptical eyes for when the next surge might occur. In fact, bringing on more officers in response to rising crime may, at least on paper, just exacerbate the problem, statistically pushing crime rates higher. “You have to be really careful with crime statistics,” Blandford says, explaining that it’s like a snowball effect. “When you put more officers on the street you’re actually going to see an increase in reported crime because they’re out there working,” he says. The amount of crime that is detected and reported rises, but the statistics do little to reveal the “true crime rate” — the continuing trend of criminal activity in a region, inclusive of the car break-ins that go unreported, the minor assaults that people hide from police, and the minor frauds or petty thefts that occur on a weekly basis but don’t find their way into police annual reports. For that reason, bowing to public pressure, especially with knee-jerk reactions to particularly scary incidents, may mean you’re assigning more officers to deal with a problem that isn’t, in reality, getting worse, while potentially taking resources from the areas that need it most. When it comes to policing costs, salaries and benefits for staff eat up a huge portion of the investment in policing. More than 86 percent of dollars spent on policing in Peel goes into salaries and benefits: $403.7 million of the $468.6-million budget, leaving little room for investments in technology, training and new models to fight crime. 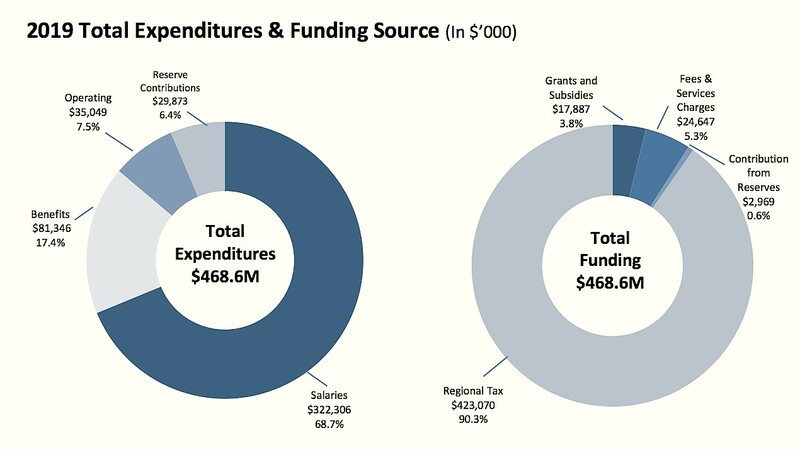 About 90 percent of the police budget comes from regional tax dollars paid by property taxpayers. Hiring more cops can be one of the costliest solutions, but it’s not the only answer to addressing the changing nature of crime. New collective agreements signed with the officers’ union in 2015 have meant that first-class constables, who need only a high school education to join the force, now appear on Ontario’s Sunshine List as public employees earning over $100,000. Including certain top-ups, some young officers only one or two years out of high school or college will earn as much as $117,500 this year. Similar agreements in Toronto allow first-class constables to earn up to $107,000. Add to that the cost of recruiting, equipping and training a new officer, which Blandford says can take more than $102,000. It may be 18 months before a new officer is on the street, effectively working to solve the problem he or she was hired to address. In the past, critics have said Peel police, abetted by a Police Services Board that had gained a reputation for rubber-stamping top-level requests, have not respected taxpayers while demanding sharp salary increases. Over a 13-year period, from 2006 to 2019, the base pay of a first-class constable skyrocketed by 41 percent, from $71,400 to $100,420 — and with the top premiums added, at a 2019 salary of 117,500 for a first-class constable, it represents a 61 percent increase, about four times the rate of inflation in Ontario over the same period. While few would argue that police officers don’t deserve good compensation for their often dangerous and sometimes life-threatening work, critics say the recent pay hikes are unsustainable for municipal coffers. Peel isn’t alone in dealing with this issue. It’s part of a continuing trend across the GTA as police salaries rise toward and beyond the six-figure mark. 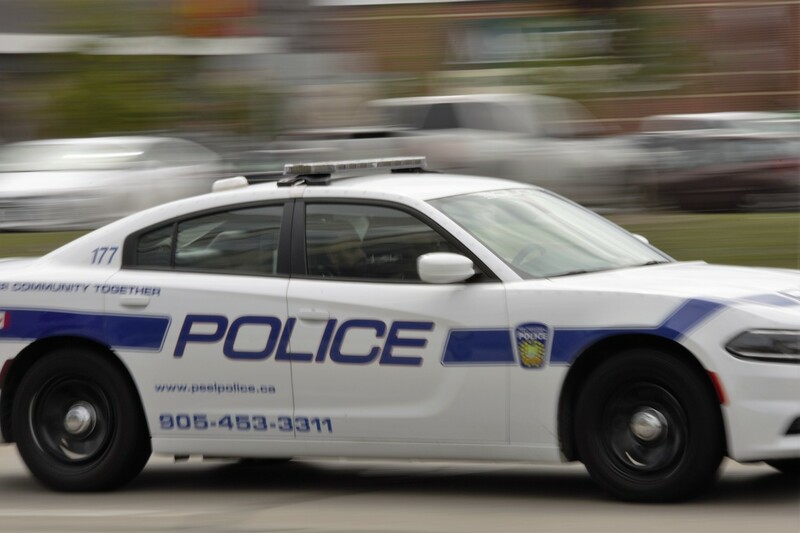 In Peel, there was a 95 percent increase in the number of uniformed officers who made the Sunshine List between 2010 and 2015, from 664 officers (out of 1,855) in 2010 to 1,297 (out of 1,951) in 2015. Policing experts point out that with so much money going to salary increases, there’s little left for other expenses, such as purchasing crime-fighting technology. And what happens when the statistics drop off and crime decreases? “Now you have all these officers, are they going to lay them off? No, officers are never laid off, it’s never happened in Ontario,” Blandford claims. The reality is, Peel’s crime numbers have been on a rollercoaster for some time. Last year wasn’t the first time Peel Regional Police found themselves dealing with an apparent surge in violent crime. There was a 77 percent increase in homicides between 2014 and 2015, rising from nine to 16. In the ensuing years, there was a drop. In 2016, there were just 11 homicides, a 35 percent fall from the previous year. Numbers have gone up and down over the years, suggesting that 2018 may represent an anomaly and not a new deadly trend. A shift is underway toward more “evidence-based decision-making” to address growing and evolving criminal trends. Police are now commonly dealing with crimes involving complex criminal networks, connected through unseen digital networks. These cybercrimes are commonly seen in fraud scams and email phishing schemes that target certain populations and extort money from vulnerable users. In Peel, fraud has grown by 16 percent in five years, increasing from 1,551 reported cases in 2013 to nearly 2,000 in 2017. Solvency rates have decreased as the numbers surge, dropping from 47 percent solved in 2013, to 42 percent in 2017. These numbers are far below Peel’s work on other crimes, with an average solvency rate for violent crimes in the high 70s and drug crimes at 99 percent solved. Cyber crime is only going to increase, says Blandford, who describes computer globalization as a “major factor” for police to address in coming years. But tackling these networks of cyber criminals can be near-impossible for a regional police force, as these networks usually stretch across the world. “Those are all offshore, so police are dedicating resources to it to deal with the issue, but they really can’t get to the heart of it because it’s outside their jurisdiction,” Blandford says. Not only that, but these crimes often require specialized expertise to solve — people experienced at breaking down computer data and analyzing complex code, skills that are generally not taught at the police college. It’s a challenge that didn’t exist 20 years ago, and one police services across Ontario are still figuring out how to deal with. The Peel police have responded by creating a Tech Unit that assists in cases where gaining access to devices or computers is part of the investigation. The unit is staffed by both sworn officers and civilians, but an exact breakdown was not provided ahead of publication. Blandford suggests that one potential solution, aside from more officers, is shifting police resources toward increased civilianization. 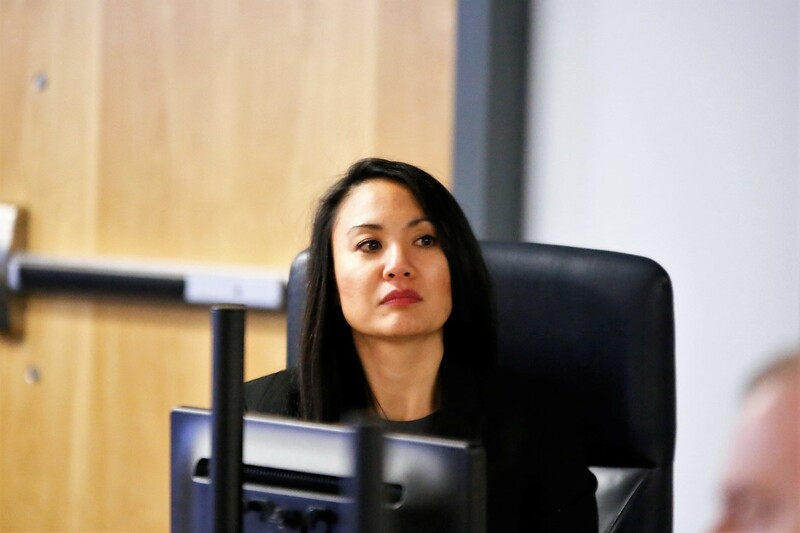 Hiring civilians for certain tasks is cheaper and allows for recruiting experts with specialized skills to assist with investigations, freeing up sworn officers to continue with the actual police work. After the 2019 hires, the police service will number 3,054 employees. According to the 2017 annual report (the 2018 report has yet to be released) there were 847 civilians on staff, taking on a variety of roles from clerical to 911 dispatcher. It’s not clear whether there’s been any consideration of expanding Peel’s civilian complement to free up sworn officers for other duties. A similar recommendation was part of a controversial KPMG report delivered to the Toronto Police Services Board in November 2014, the details of which were not made public until a year later. Commissioned by previous TPS board chair Alok Mukherjee, the report was meant to create a pathway out of an increasingly costly policing model that hadn’t changed in nearly 50 years. It suggested normal cost-cutting measures such as reducing platoon sizes and cutting middle management. Increased use of civilians for areas such as court security and forensics, as Blandford noted, was also part of the recommendations. The report was not welcomed by members of the TPS board, with board chair Andy Pringle telling the Toronto Star he believed the TPS was already efficient. Shifting the mindset takes time. Blandford admits that it boils down to a generational issue, with some old-guard police unwilling to adapt to a new reality. This reluctance was laid bare in painful detail for Peel Regional Police after a diversity audit conducted by the Canadian Centre for Diversity and Inclusion was finally released last month. It painted a picture of Peel police leaders unwilling to acknowledge systemic racism within an organization that many employees described as “elitist” and “change averse.” Peel police have announced several measures in response to the findings, but the CCDI said it would require a dramatic “culture change” to achieve long-term solutions. The same can be said for changing attitudes toward addressing new and rising criminal trends. “It’s going to take a couple generations of police executive leaders to change that direction,” Blandford said, speaking of police services in general, adding that having someone at the helm who is “open and progressive” will make that transition easier. The fact that Peel police are now looking to hire a permanent replacement for Evans underscores the importance of asking these questions now. Even more questions about the crucial hiring decision will be asked this Thursday, April 4, at Sheridan College in Brampton at 11 a.m., when it hosts a community forum to discuss what the police board should consider when deciding on who will lead Peel police into the future. Back inside Brampton City Hall, councillors are seeking their own solutions to crime in Peel Region. But their efforts merely highlight the complex nature of the problem. Councillor Charmaine Williams suggests that Brampton pull out $5,000 to give Brampton residents a $100 incentive to turn in unwanted firearms during an upcoming gun amnesty program. 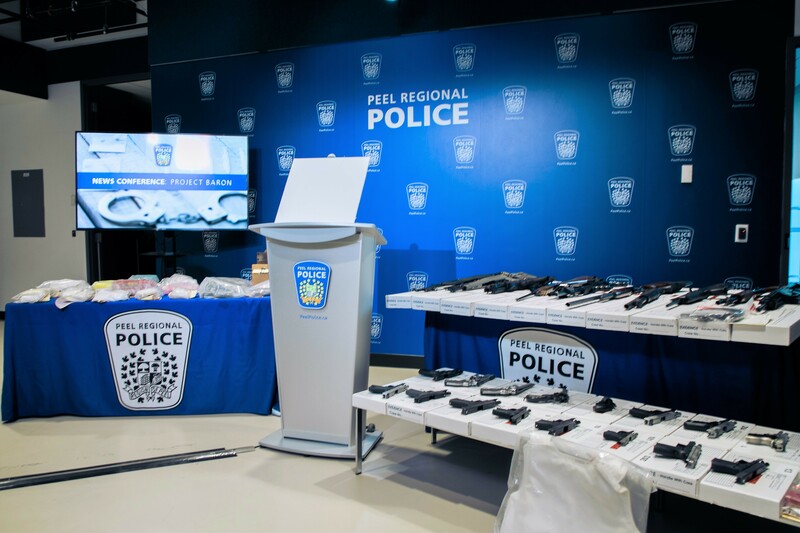 However, the vast majority of guns used for crime across the region are not legal, and, according to McCord, not once in Peel’s periodic gun amnesty programs has a gun turned in been found to have been involved in a criminal offence. The motion from Councillor Williams was eventually scrapped as part of a mammoth motion from fellow Councillor Rowena Santos. It’s unclear what benefit her motion, which eventually carried, serves. It asks the federal government to “enact legislation to control guns coming into Canada along the American and Canadian border,” (something that’s already a priority for the Canadian Border Services Agency) calls for tougher minimum sentences for gun traffickers, and urges Ottawa to direct more resources to fight gun trafficking (these are not issues that councillors typically use their legislative time for, as they have no jurisdiction over such matters). It also calls for closer collaboration between the Region of Peel and Peel police on building programs to address the “root causes of gun and gang violence,” creating an outreach strategy to engage Brampton youth, and enhancing existing programs. But the motion wasn’t accompanied by any commitment for funding or any specific initiative by Santos to actually bring about new solutions for progressive, modern approaches to policing. In fact, much of what the motion attempted to achieve has already been covered by Peel Region and will be included as part of ongoing work to complete the provincially mandated Community Safety and Wellbeing Plan. Her move was much of the same from municipal leaders in Peel who have long talked about community safety, but done little to push the force to actually approach budgeting and policing models in innovative ways. But they have consistently approved the police budget at Peel Regional Council with little debate, just as Santos and others did for the most recent round of requests for 2019, which once again were approved with hardly any scrutiny. Meanwhile, critics have pointed to the outcome of the lack of oversight, as skyrocketing police salaries in Peel have resulted in entry level constables, who only need a high school diploma, now earning more than $100,000, and some making a base salary of more than $117,500 this year when the premiums are incorporated. This does not include benefits, overtime or off-duty pay. It has been pointed out by police board members in Durham, York and Toronto that similar salary and benefit increases for police officers are unsustainable and prevent boards from investing in modern technologies and policing models to help prevent and fight increasingly complex criminal activity. When Peel Region has appealed to upper levels of government for funding help, it has generally found its calls falling on deaf ears. After former Chief Evans had no luck getting the province to extend its largesse beyond the $25-million grant Toronto got after the Danforth shooting, the situation only got worse. Provincial funding under the Provincial Anti-Violence Intervention Strategy (PAVIS) was cancelled at the end of 2018. Peel police had been receiving PAVIS funding since 2007, and last year, they were allotted $505,394 as part of the program. The dollars were used for targeted enforcement in areas known to be hotbeds for gun violence and gang crime in the region. The Peel police budget shows that nearly $18 million in grants, including money for court security, community policing partnerships, Youth in Policing and RIDE programs, was also considered at risk. To date it’s unclear what the state of those grants is. “We’re still working to press the provincial government … to see what funding will be available this year,” McCord told councillors. With the province dragging its feet on certain funding, though recently re-announcing $16.4 million for the second phase of its guns-and-gangs strategy, police services have received a small bit of relief from the federal government. With an election looming, Ottawa has opened the pursestrings slightly. An additional $11 million has been allocated to Ontario to address gun and gang violence. It’s not clear how those dollars, announced last month, will make their way down to Peel police. McCord told council he was working to figure that out. “We want our fair share of that to try and deal with this,” he said. These three scenarios — councillors struggling, the province holding back and the feds throwing more money into the issue during an election year — highlight what Blandford explains has become an increasingly divided approach to addressing complex crime issues.